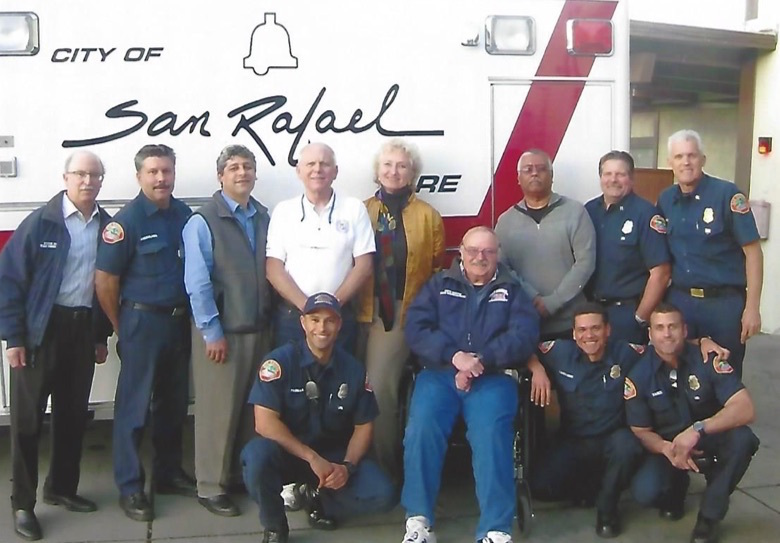 The San Rafael Fire Department was founded in 1874 as an all-volunteer department. In the mid-20th century, the Fire Department was still primarily a volunteer organization (only the Fire Chief was salaried). In a 1947 ordinance (422), the Fire Commission was tasked as having “the power and duty to exercise complete supervision and control of the San Rafael Fire Department on issues including personnel, fire stations, equipment and all budget requests” (acting in conjunction with the Fire Chief). In a 1967 ordinance (889), the City Council again reiterated the Fire Commission’s vote (subject to the direction and control of City Council) as “exercising complete supervision and control of the Fire Department.” A 1969 article in the Independent Journal (Wednesday, Dec. 31, 1969) titled “Only One Fire Commission Exists”, describes the powerful role of the San Rafael Fire Commission at that time. The roles and responsibilities of the Fire Commission, most recently updated in 1974 (Ordinance 1131), are defined as “reviewing and recommending” the current and future needs of the department concerning facilities planning, personnel, equipment needs, mutual aid, budgets, fire prevention, strategies and other variables essential to the success and efficiency of the Fire Department. Currently, the San Rafael Fire Commission is a six-person civilian board appointed by the mayor and affirmed by the City Council. The group seeks to support the goals and objectives of the Fire Department as set forth by the Fire Chief. The Fire Commission meets monthly, rotating its meetings among fire stations and EMS facilities within our service area. In 2014-2015 the Fire Commission acted on a proposal by Commissioner Leonard Thompson to create a San Rafael Fire Foundation, a 501(c)3. The goal of this entity is to plan activities and raise funds in support of the Fire Department. As unpaid volunteers, the Fire Commissioners bring their unique life experiences, professional skills and personal enthusiasm to their positions. Current Members: Stephen Mizroch, MD, Chairman; Lawrence “Larry” Luckham; Aaron Golbus; Carolyn Lenert; Leonard Thompson; Thomas Weathers (see group photos below). 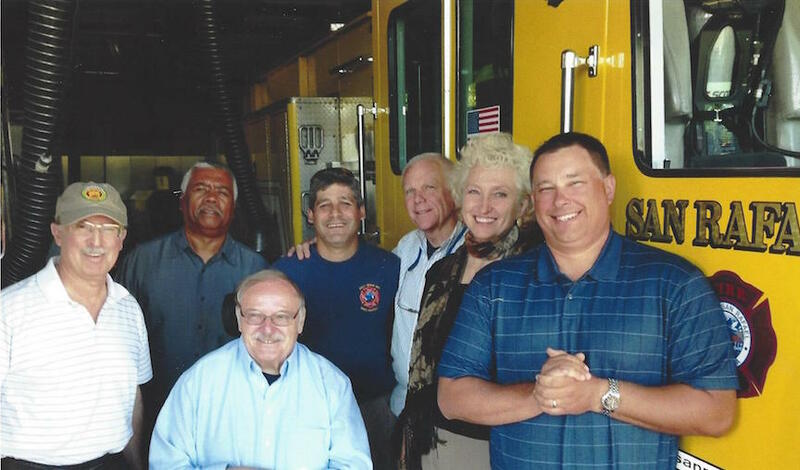 The SR Fire Commission in 2014: (l-r) Steve Mizroch, Len Thompson, Pete Martin, Aaron Golbus, Larry Luckham, Carolyn Lenert and Tom Weathers. 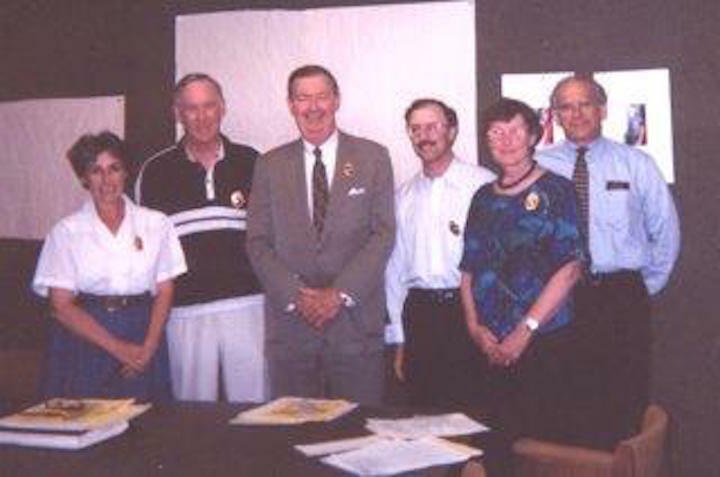 The San Rafael Fire Commission circa 1994: (l-r) Kathy Devlin, Richard Heine, Charles Daniels Jr, Stephen Mizroch, Mary Ellen Irwin and Fire Chief Robert Marcucci.